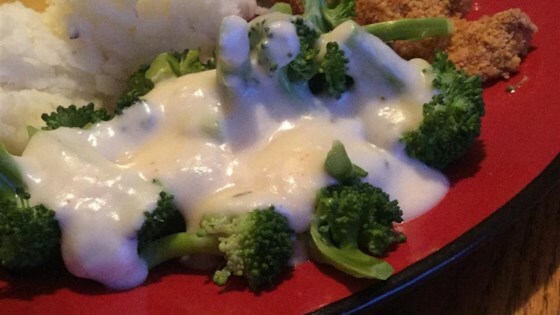 "White sauce is one of the “mother sauces” in traditional culinary training and is used in many popular dishes." Melt butter in a saucepan over low heat. Stir in flour and cook for about 5 minutes. Stir in 1 cup cold milk, about 1 minute. Stir in second cup of milk for an additional minute. Stir in remaining 2 cups of milk, cayenne pepper, salt, thyme, and nutmeg; bring to a simmer over low heat until sauce begins to thicken, about 10 minutes. I didn't change a thing and loved it!! This turned out good-but made alot so I had to throw out the rest..I used this sauce for my macaroni and cheese dish and my son loved it...A keeper!! !